Posie Harwood, who finds the best back-of-the-box recipes in the grocery store, finds the best four-ingredient holiday cookie. I've never met a sugar cookie I didn't like. It's hard to go wrong with such a simple, classic recipe. But come holiday time, there are more sugar cookie recipes floating around than radio versions of "All I Want For Christmas Is You." So how should you choose? 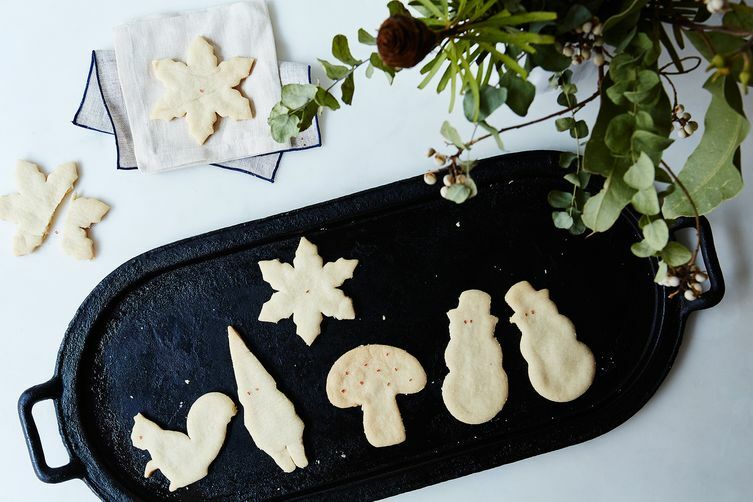 Instead of wasting an hour Googling "best sugar cookie" or "best roll-out sugar cookie" or "best cut-out cookie", make these. The recipe comes from a Canadian cornstarch package, and it's a little different from your average sugar cookie. For starters, you only need four ingredients (cornstarch, powdered sugar, flour, and butter). The cornstarch makes the dough silky and smooth. Be sure to chill the dough briefly before rolling them out—it's a very soft and slightly sticky dough and this will make it easier. 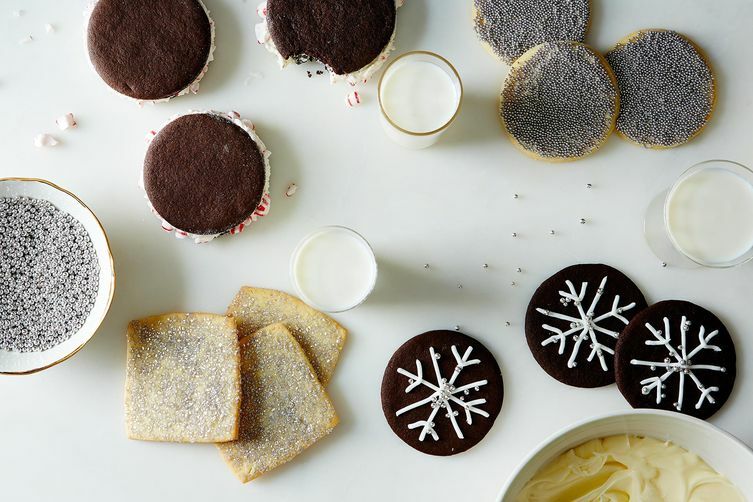 Once baked, the cookies combine the buttery quality of shortbread with the delicate sweetness and crunch of a classic sugar cookie. On their own, they're plain and simple: the perfect blank canvas for decorating with royal icing or sprinkles. 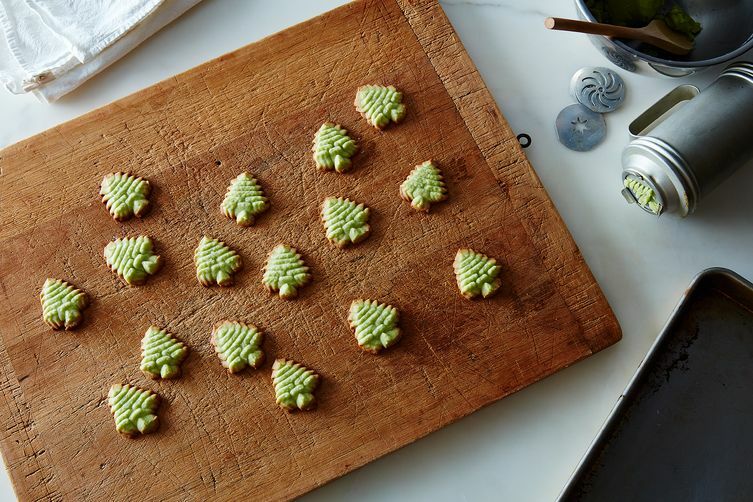 But if you don't plan to decorate them, I recommend stirring in some add-ins to make the cookies a bit more exciting. My favorite versions are vanilla and crunchy almond. To make the vanilla version, mix in 1/2 teaspoon of vanilla paste or vanilla extract. (I like vanilla paste because it adds gorgeous flecks of vanilla bean to the dough). To make the almond version, add 1/2 teaspoon of almond extract and 1/2 cup of crisp rice cereal. Any flavor extract will work (lemon, anise, or rum would all be nice). You could dust the cookies in cinnamon sugar, or add toasted chopped nuts to the dough. You could leave them plain and dip the finished cookies in melted chocolate. Whatever you do, don't leave them sitting out on your kitchen counter within easy reach while you wrap your gifts. They are irresistibly good, and you'll find yourself reaching for another (and another and another) until—Christmas miracle!—they are gone. My great grandmother made these every year for christmas, except she increased the butter to 3/4 cup of salted butter. She also mentions in her notes that it's best to avoid touching the dough with your hands as much as possible. She also just sifted the dry ingredients together and beat everything together with a wooden spoon. Am I the only one thinking that this is a SHORTBREAD cookie????? These ARE Shortbread cookies, I meant. No way, these are sugar cookies just because they are rolled out. These look incredible—high on my list (it just might have to wait until January, but that's okay!). Haha let's just say there is nothing traditional about these cookies (or my holiday baking tools) :) -- also, I really shouldn't even call them Christmas cookies since I will be making them weekly all year round now I bet!